Think Your Lipstick Is Cruelty-Free? Think Again. Look at your lipstick. Or mascara. Or moisturizer. Somewhere, does some fine print read (something like) This product hasn't been tested on animals? If so, don't (necessarily) believe it. 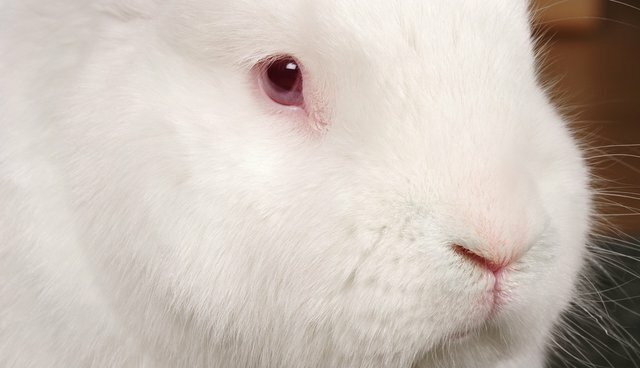 Here's why: Just because a company says a cosmetic is cruelty-free doesn't mean that the product- or a chemical in the product -hasn't been tested on an animal: "There is essentially no regulation on what that [label] means," explains Kim Paschen, communications manager at Leaping Bunny, an organization that focuses on guidelines for animal-friendly goods. "There are no legal requirements for companies to back up that claim." Such is the murky world of cosmetics testing. Certainly, compared with the 1950s to the 1980s, when testing cosmetics on animals was more of an industry standard, there's relatively little taking place in the U.S. now, says Amanda Nordstrom, liaison for PETA's Beauty Without Bunnies campaign. 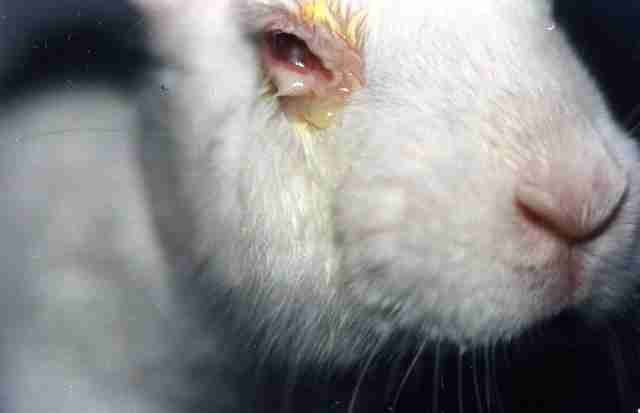 PETA has long been on the frontlines of protesting cosmetics testing on animals, including its criticism of the well-known Draize test, where substances were dripped into an animal's eye to measure irritancy level. But bunnies, guinea pigs, hamsters, mice and rats - the most commonly used animals in cosmetics testing - are still subjected to laboratory experiments meant to determine the efficacy and safety of personal care products. According to the Humane Society of the United States (HSUS), various tests still conducted include skin sensitization studies, eye irritation studies and tests that rate levels of carcinogenicity. "Pain relief is rarely provided and the animals used are always killed at the end of each test," says the group's website. Theodora Capaldo, president of the New England Anti-Vivisection Society, adds that animals "suffer convulsions, seizures and other agonizing effects from being slowly poisoned to death." And to perform these tests, Capaldo told The Dodo, the animals are locked into restraining devices "for as long as required." Quantifying exactly how many animals are being tested on and what tests are conducted on each animal can be a challenge. A 2014 study suggested some 2,700 animals in the U.S. and 27,000 animals worldwide are tested on for cosmetics each year. But that's just an estimate: "One reason why you can't find out how many animals are used in cosmetics testing in the U.S. is because the government doesn't require companies to disclose how animals are being used in their labs," explains Crystal Schaeffer, outreach director of the American Anti-Vivisection Society (AAVS). Schaeffer told The Dodo that because mice and rats aren't protected by Animal Welfare Act, companies using these animals aren't required to submit their numbers to the USDA. Click here for an AAVS description of methods of tests, including eye irritancy, skin corrosivity and neurotoxicity. In an effort to provide a framework for the concerned consumer, the Leaping Bunny Program - or more specifically, the Leaping Bunny logo (yes, it's an actual drawing of a leaping bunny) - entered the picture. 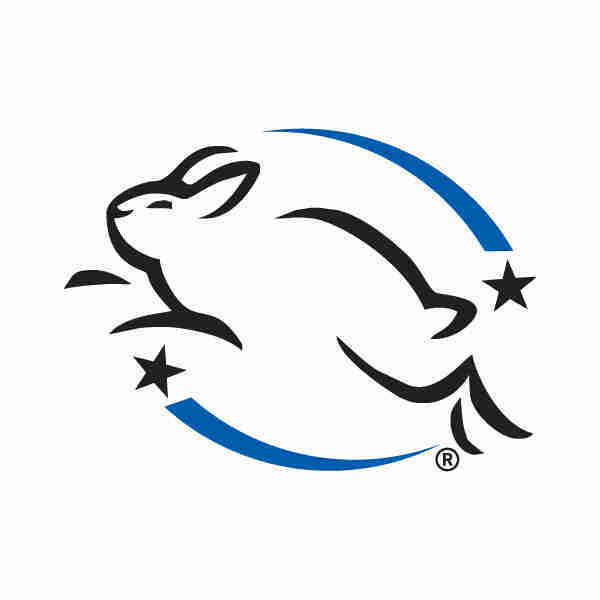 Established by The Coalition for Consumer Information on Cosmetics, a group of eight organizations including the HSUS and AAVS, the Leaping Bunny program aims to create an independent standard for animal-friendly products. To become certified by Leaping Bunny, companies must adhere to "The Corporate Standard of Compassion for Animals," which requires that no new animal testing occur at any stage of development. The company's suppliers must also make the same pledge. Furthermore, "all Leaping Bunny companies must be open to independent audits," says the website. However, Paschen notes only a dozen companies are audited annually. There are some 500 companies that are Leaping Bunny certified, including popular brands like EO, Alba Botanica and Paul Mitchell. Although the amount of animal cosmetics testing in the U.S. is waning, newly proposed legislation, co-sponsored by Senators Dianne Feinstein (D-CA) and Susan Collins (R-Maine), will require the FDA to evaluate five cosmetics ingredients a year "and determine whether they can be used with reasonable certainty of no harm," explains one news story about the proposed bill. If this ultimately spawns more animal testing, as animal advocates like PETA fear, it would be going in the opposite direction of the European Union, which has been progressively banning cosmetic testing and the sales of cosmetics tested on animals for years now. 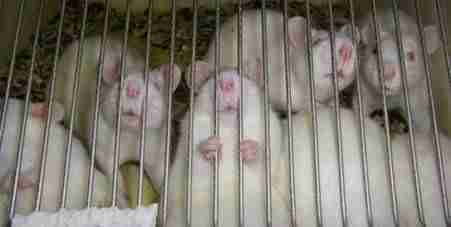 Testing on animals for cosmetics is also illegal in Israel and India. Still, Capaldo points out that 80 percent of the world continues to conduct animal testing for cosmetics and "in some countries, notably China, [they] require imported products to be tested on animals before they reach the market." In fact, cruel policies overseas can have wide-reaching influence. Nordstrom points to a 2012 exposé by PETA that accused companies like Avon, Mary Kay, Estée Lauder and Revlon of lying to consumers. The international companies - which had all banned animal tests years before - were "secretly paying for animal tests in order to sell their products in China," Nordstrom notes. "We've made huge progress on ending cosmetics tests on animals in the U.S., and it is now illegal [in other nations], but hundreds of thousands of animals every year in other countries are still being poisoned and killed in outdated tests," she adds. "These animals spend their lives in small cages, live in constant fear and suffer through painful experiments without anesthesia." In the end, if going cruelty-free is a consumer's goal before purchasing that eyeliner or hand cream, the best thing to do is some homework - and to shop for the products that correlate with your values. Here are links to Leaping Bunny logo-certified companies and and PETA's Beauty Without Bunnies-logo database as a starting point. It might be a bit of a challenge to find products that are 100 percent compassionate, but you may feel better about the way you look if you know that an animal didn't suffer for your moisturizer.